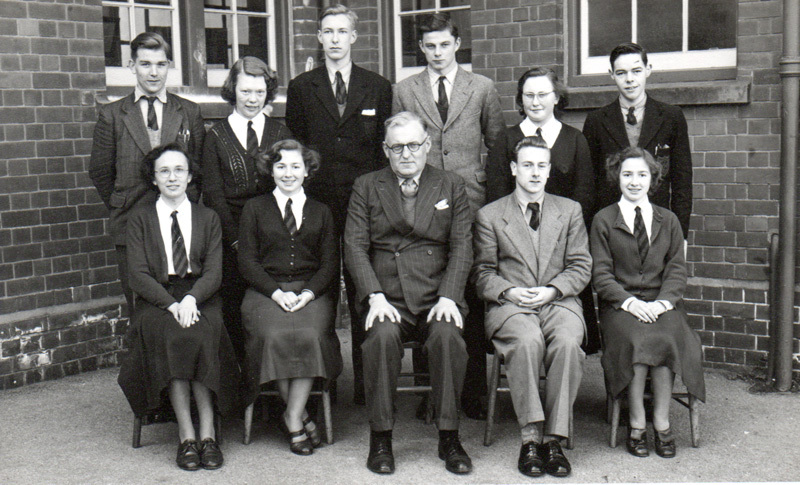 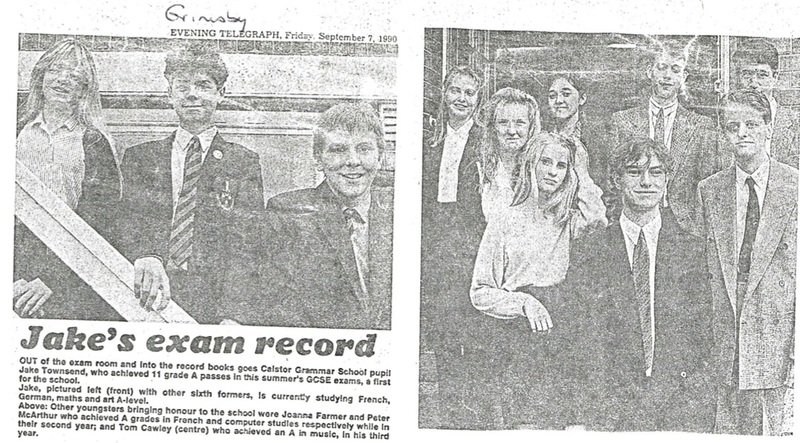 1951 Prefects: Back row, l to r: Peter Withers, Maureen Fowler, Eric Richards, Douglas Sergeant, Shirley Leaning, Havercroft; front row, l to r: Mollie Brumpton, Harrison?, Robert Capper (HM), John Edward Marshall, Harrison? 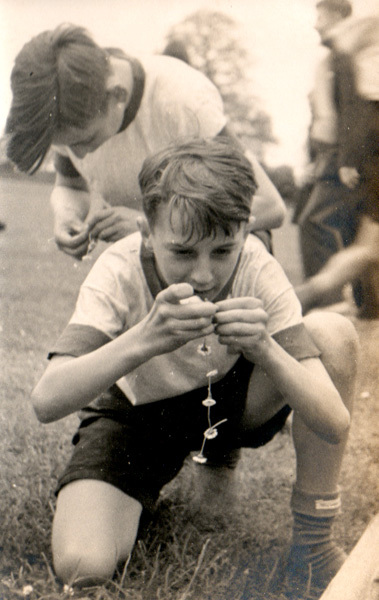 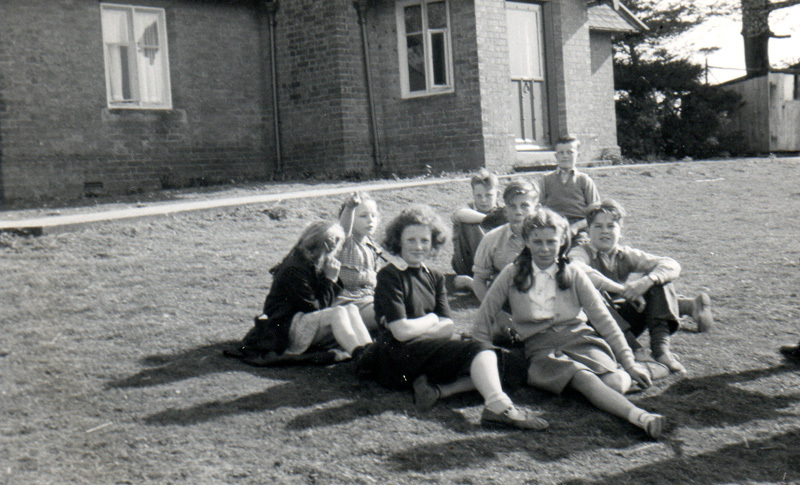 C1950 Group of pupils on the grass; unknown house in background; included are, back: Betty Ashman, Don Fenwick, Tim Denby; front: Ann Royal, Robinson? 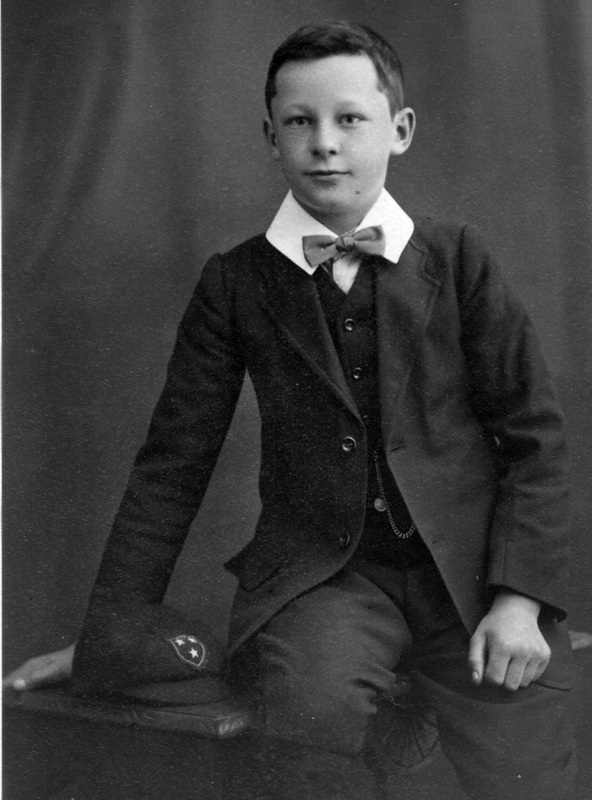 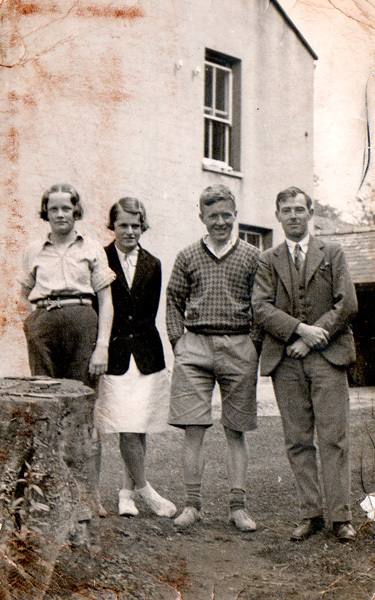 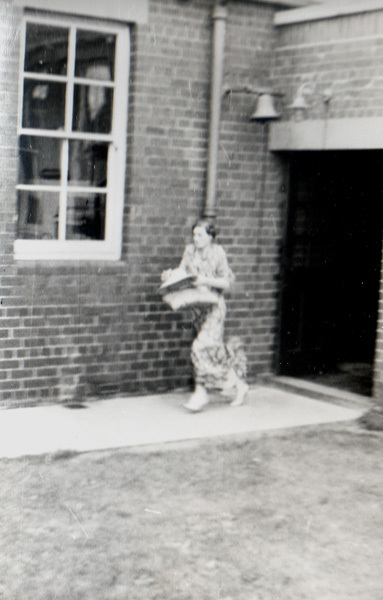 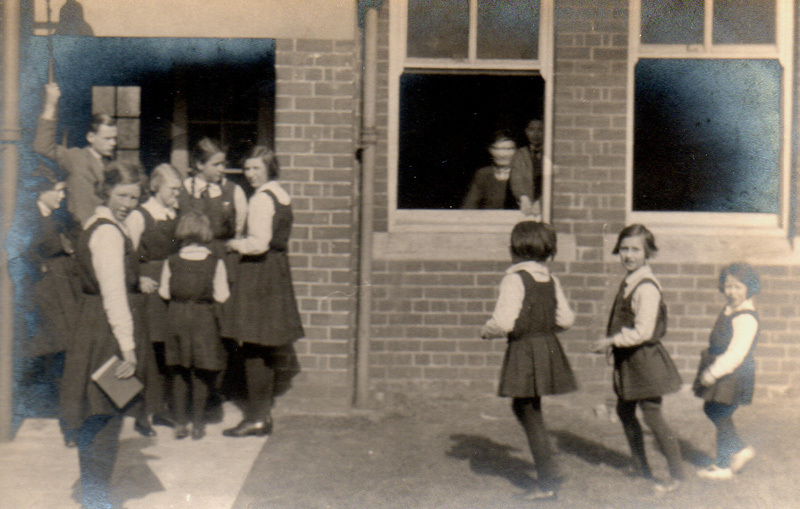 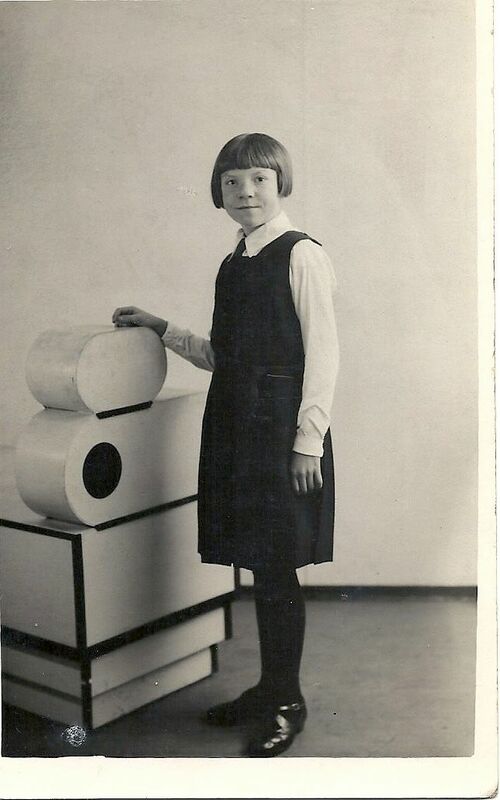 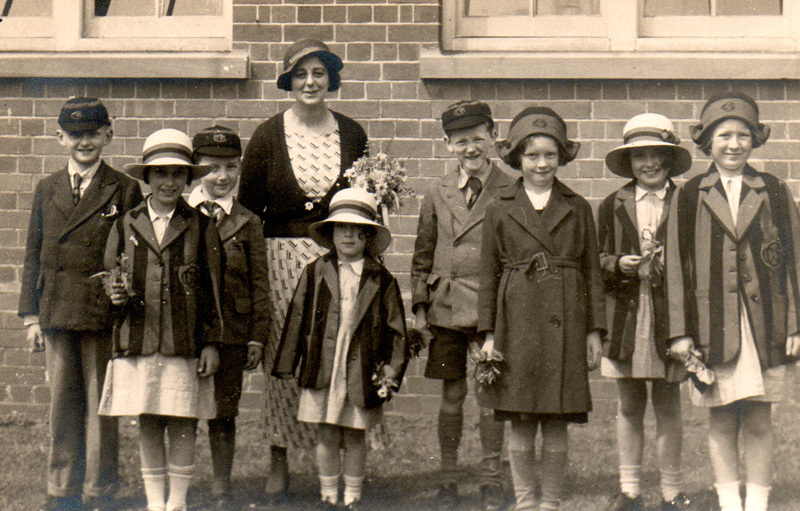 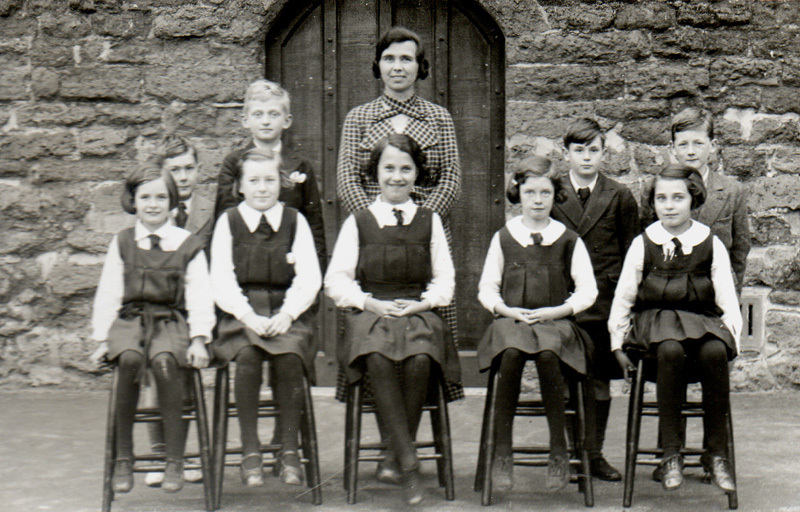 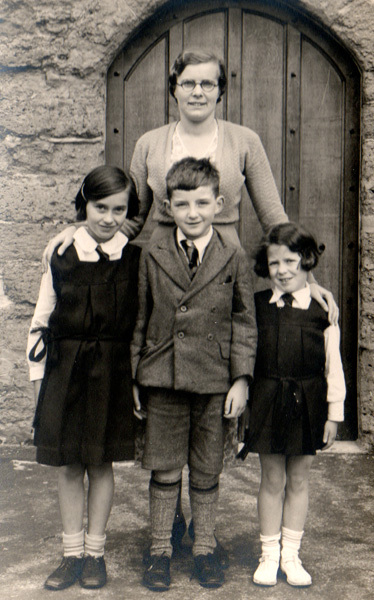 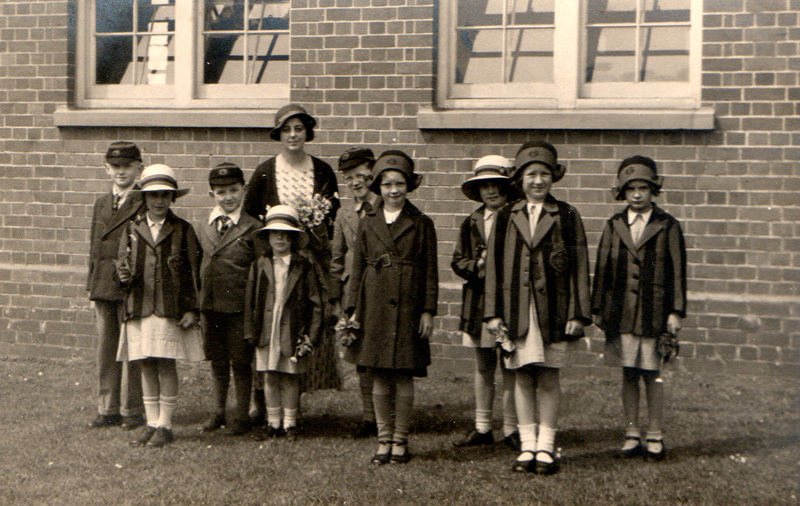 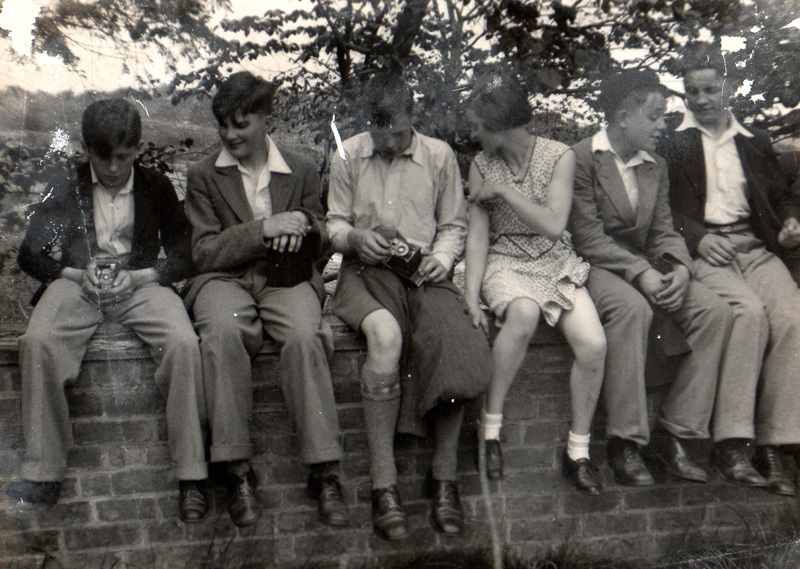 C1930s Group of pupils seated on a stone step (Is this Pelham’s Pillar? 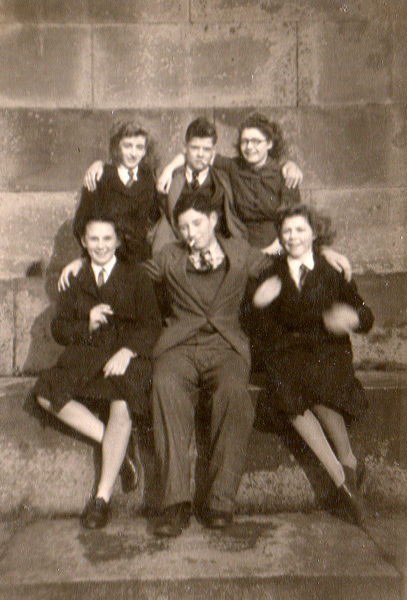 ); man with cigarette may be a teacher!